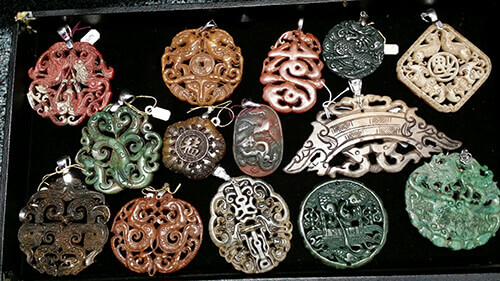 We now have antique Chinese carved Jade pendants. 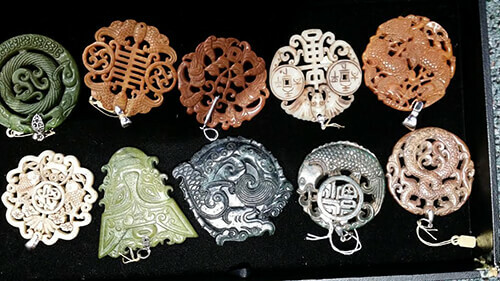 These are mostly from the Han dynasty, the designs that is, we don't actually know how old they are. They run from $39 up. To inquire about the products shown above, please contact Atlantis Leather by calling (304) 497-0555, or e-mail atlantisleather@frontiernet.net.